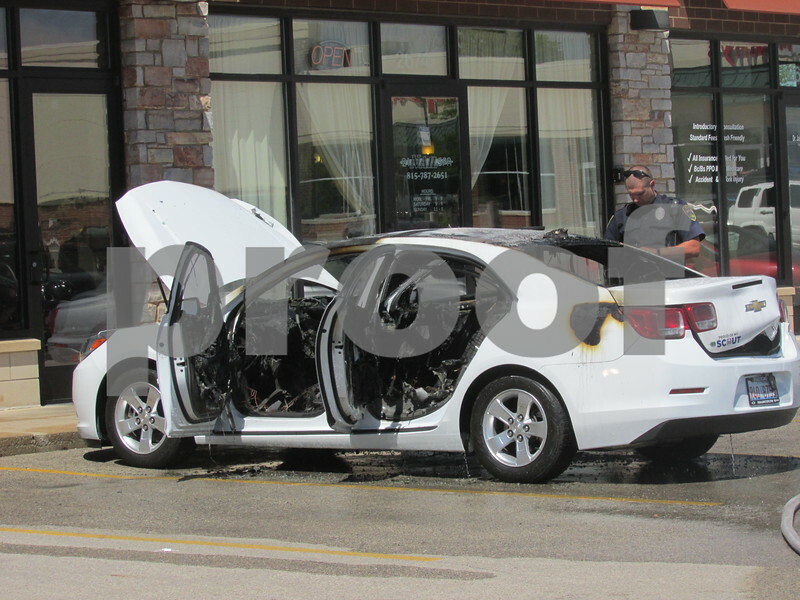 SYCAMORE – A white Chevy Malibu caught fire and burned for a few minutes in the parking lot of Jamrah Middle Eastern Cuisine at 2672 Dekalb Ave. on Thursday afternoon before Sycamore firefighters hosed down the vehicle. No one was reported injured, and the property, which also houses 21 Nail Spa, did not sustain any visible damage. Police and fire responded to a call around 3 p.m., and by 3:15, the fire was put out, the car was loaded onto an Accurate Towing and Recovery truck, and officers on scene swept up broken glass and other debris.